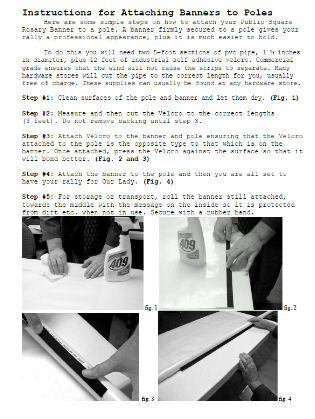 Here are some simple steps on how to attach your Public Square Rosary Banner to a pole. A banner firmly secured to a pole gives your rally a professional appearance, plus it is much easier to hold. Please Click on the PDF to see the instructions.